I’m not sure tangy is the right word to describe it. It’s light. Maybe we can share a bottle soon. Kim, maybe you were thinking of the dearly departed Gotham Book Mart? 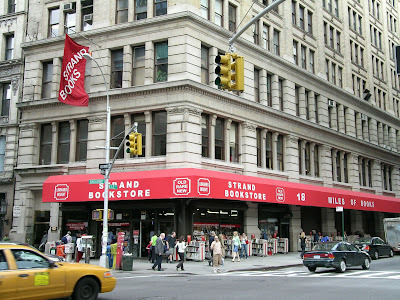 That was another longstanding New York bibliophile institution. The Strand is much larger and further downtown. Crap… Looks like Dave’s Fresh has sold out of the Casa Silva 2006. I don’t know if the 2007 is just as good–they say it hasn’t shipped yet.